Baltimore police: Loretta Lynch will soon announce a Justice Department probe, Washington Post reports. 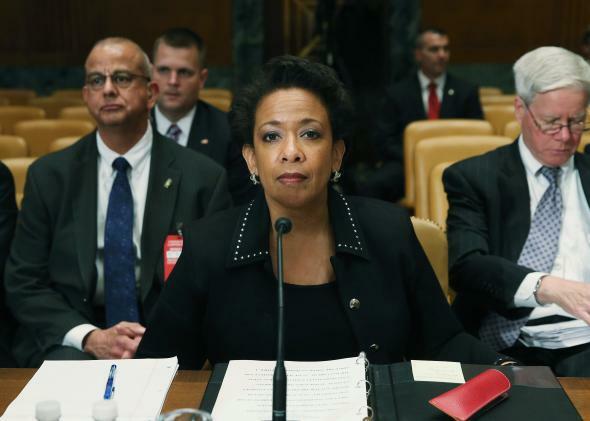 U.S. Attorney General Loretta Lynch appears before the Senate Appropriations Committee on Thursday. The Department of Justice will launch an investigation into the Baltimore City Police Department, the Washington Post reported on Thursday. The DOJ will seek to determine whether the city’s officers have engaged in a “pattern or practice” of excessive force. [Attorney General Loretta] Lynch’s announcement about the Justice Department’s probe—the latest in a string of municipalities that are being investigated by the federal government for civil rights violations—could come as early as Friday, according to two law enforcement officials. A Justice Department spokeswoman declined to comment Thursday night.